Yellow jackets are social wasps who ordinarily hunt for meat sources, primarily insects, and get their sugar from a hive process called trophallaxis. Later in the season, these wasps change their eating habits dramatically due to the insect sources diminishing by that time, causing the trophallaxis exchange to cease. 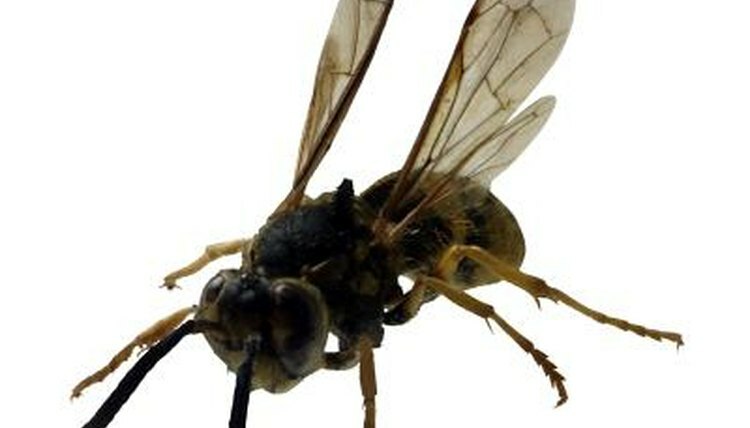 The adult wasps crave sugar and the larvae need meats, so the workers fly off in search of those foods. Early in the season, yellow jackets are more interested in protein sources, rather than carbohydrates, and will hunt for insects, leaving sugary food sources alone. During this time of year, yellow jackets forage around a quarter of a mile away from their nest and eliminate large populations of pest insects from the areas surrounding their hives. Large quantities of proteins are needed for feeding the queen wasps and their young larvae back in the nests. Yellow jacket larvae secrete a sugary substance that worker wasps eat, and this is the main sugar source the adult wasps consume throughout the summer. This process is known as trophallaxis. But toward the end of summer and beginning of fall, the workers find fewer meat sources to feed the larvae, causing the larvae to secrete less of the sugary substance. For this reason, yellow jackets begin wandering toward human food sources. During the late summer and early fall the yellow jackets scavenge for food from new sources, particularly sugary ones. They swarm around parks and other human populated areas, looking for proteins to take back to the nest, and for sugary snacks to consume on the spot, along with ripe fruit. The wasps feed from dumpsters and trash cans and will attack and sting anyone who tries to keep them from the food source. Yellow jacket wasps have no barbs on their stingers, making them capable of delivering multiple painful stings, and will do so if they feel their new food sources are being threatened. While scavenging, these insects become hostile when swatted away from food and will sometimes attack. Yellow jackets have been known to crawl into open soda cans, causing unsuspecting humans to be stung on the lips or inside the mouth when they sip from the cans.